Looking to find out about the newest restaurants in the Penn Center area? From a Vietnamese spot to rolled ice cream, read on to see the newest destinations to open in this part of Philadelphia. This new location is the latest from popular local eatery Pho Street, which has locations in Springfield, Delaware County and Bryn Mawr. The casual spot serves up Vietnamese classics like pho, vermicelli bowls, spring rolls and banh mi. Customers can also customize their dishes through the ordering system. 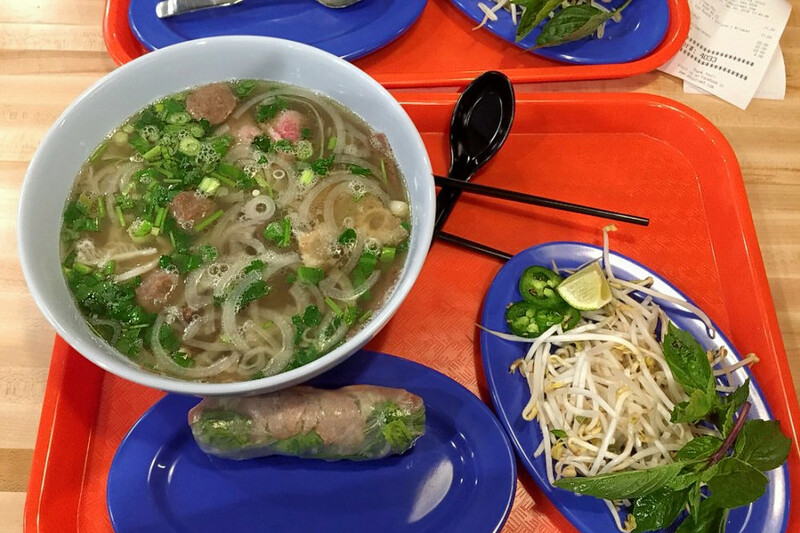 With a 4.5-star Yelp rating out 20 reviews, Pho Street has been getting positive attention. Sherry X. noted: "I cannot begin to tell you how much I enjoyed the banh mi I got. First of all, they have it listed as a 'hoagie,' so don't get tripped up. Second of all, it's pretty big and packed full of your typical banh mi ingredients. Those pickled carrots were amazing and balanced out the richness of the butter and grilled pork beautifully." Yelper Jenny K. wrote: "You can customize your pho, summer rolls and other dishes, which is nice. I got the brisket and eye round pho with extra cilantro, grilled pork and shrimp summer rolls without noodles, which I loved (for those who are trying to eat less carbs)." With two other outposts in New York and Charlotte, Parliament recently made its debut in Philadelphia. 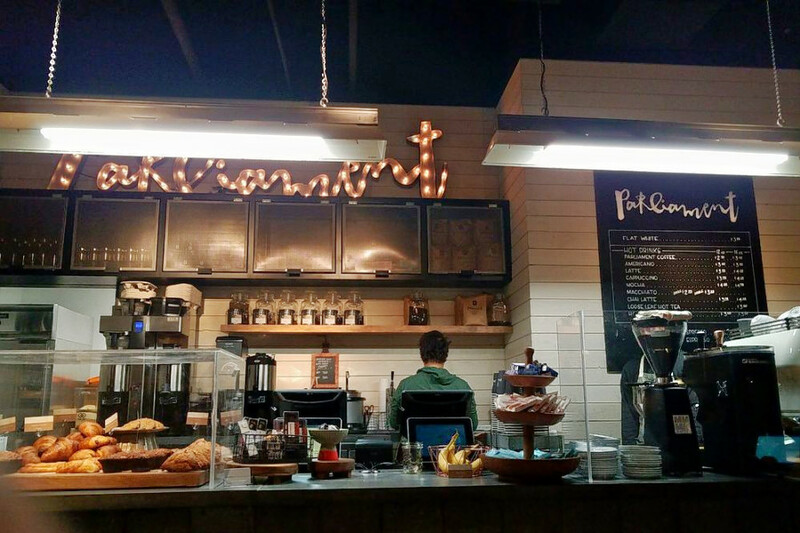 The roaster specializes in single-origin Arabica beans from Nicaragua, and offers coffee drink mainstays like cappuccinos, lattes and flat whites. For eats, there's a small selection of sandwiches, salads and baked goods. Parliament's current Yelp rating of four stars out of 14 reviews indicates that the newcomer is finding its way. 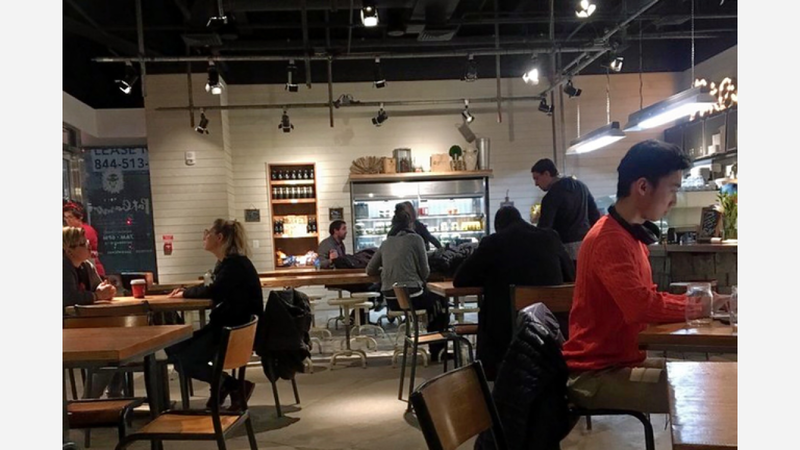 Yelper Priya S., who reviewed Parliament on February 1st, wrote: "I have gotten their regular coffee and also a soy chai. The regular coffee was smooth and didn't disappoint. The chai was nice and spicy and sweet as well. Amy B. noted: "The pastries, baked goods, coffee and tea have all been very good. The warm ambience and relaxing environment is a nice welcoming change to recharge your cell phone batteries, catch up on reading, or meet with friends at one of the communal coffee tables." Zushi is a new sushi spot courtesy of Tony Rim, the owner and chef at 1225 Raw. The eatery hopes to provide fresh sushi and bento boxes to those on the go. The extensive menu includes a wide range of offerings for busy office workers, ranging from poke bowls to sushi, maki and sashimi. Look for the "Dragon Combo," which comes with an eel and avocado roll and a dragon roll; a salmon sashimi bento box with seaweed salad, California roll and edamame; and a tofu yaki noodle bowl. Yelp users are generally positive about Zushi, which currently holds four stars out of three reviews on the site. 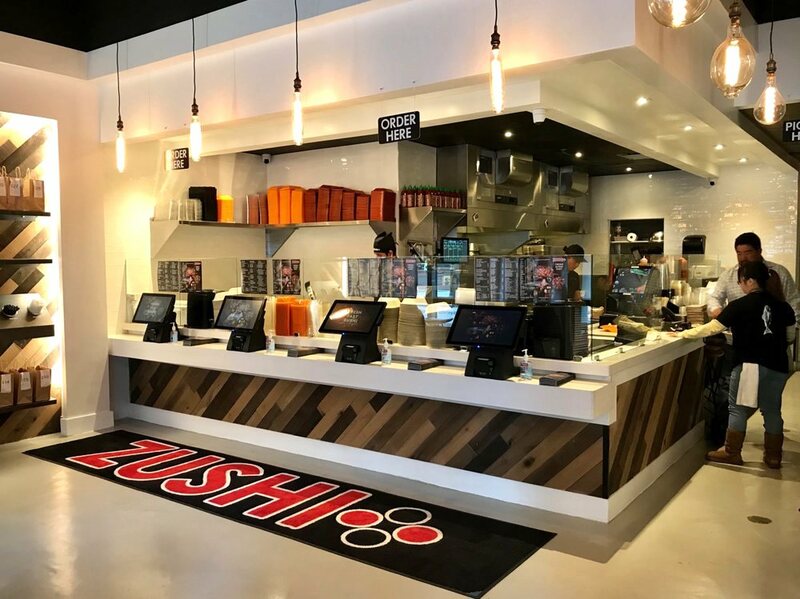 Yelper Philly P., who reviewed Zushi on December 20th, wrote: "Finally there is a place to get great sushi quickly on my lunch break! I had a tuna sushi bento box and my coworker had the spicy tuna bento box; we were both super happy with our lunches." And Luv U. wrote: "I just went to Zushi's to get lunch and this is my new favorite spot! It's clean, fresh and tasty. Plus, there are a lot of options for vegetarians." New American restaurant The Love is the latest project from from Aimee Olexy and Stephen Starr, the folks behind popular eateries Talula's Garden and Talula's Daily. It specializes in locally sourced, seasonal American fare. 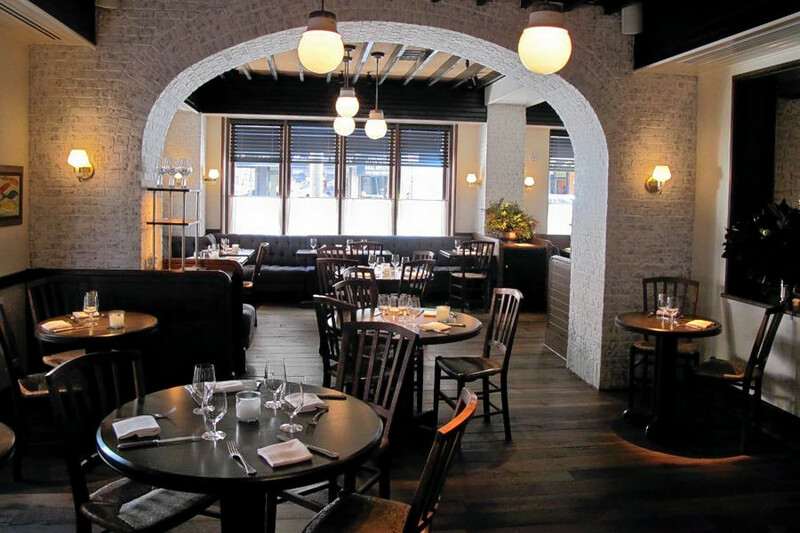 On the menu, look for seared New England scallops served in a tangerine butter and veal lasagna with ricotta. There are also seasonal pasta dishes, like ricotta ravioli with butternut squash sauce. The Love currently holds four stars out of 74 reviews on Yelp, indicating good reviews. Yelper Mark K., who reviewed The Love on February 3rd, wrote: "Must I say it? I guess I do.....I loved The Love. Every moment was just fantastic. We put in our reservation almost three weeks before dinner and only got a 8pm sitting. We got a very nice quiet table in the back of the restaurant, where we ordered drinks and appetizers." Lauren G. noted: "I had an amazing evening celebrating a birthday. Nicholas, our server was friendly, prompt & always on the ball. The food was amazing and the restaurant was beautiful. I'll definitely be coming back. Thanks so much to Nicholas and the staff for making it an amazing night!" The Love is open Monday-Thursday from 11:30am-2:30pm, weekends from 10am-2:30pm, Friday from 11:30am-11:45am, Friday and Saturday from 5pm-11pm, and Sunday-Thursday from 5pm-10pm. New York's 10Below Ice Cream recently brought its Instagram-friendly rolled ice cream treats to Philadelphia. 10Below Ice Cream currently holds 4.5 stars out of 11 reviews on Yelp, indicating good reviews. Yelper Kristina B., who reviewed 10Below Ice Cream on November 8th, wrote: "Hands down the best ice cream I've ever had...We had a hard time choosing a flavor because they all sounded so good. We got the Monkey Business and it was heavenly. Our first time having rolled ice cream was great!" 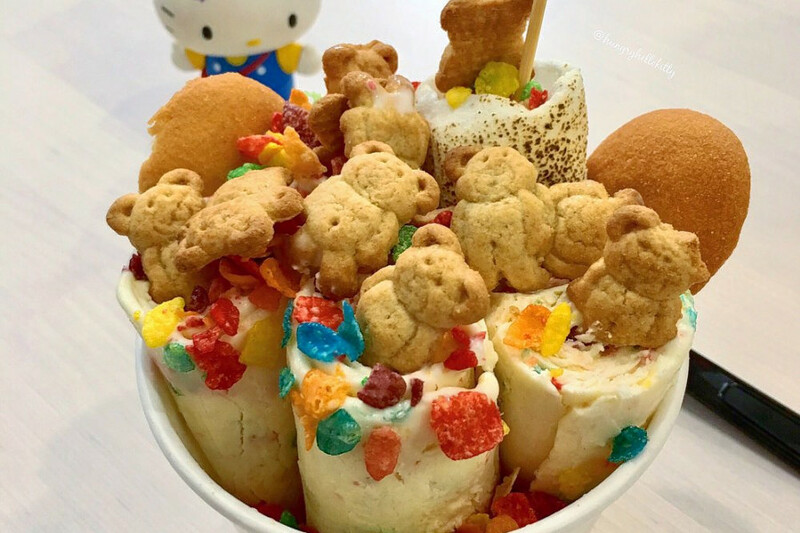 Yelper Jessica Y. noted: "For $7, you get unlimited toppings; 10 Below really differentiates itself in this aspect because it offers fruity pebbles, nilla wafers, teddy grahams, and even blackberries." 10Below Ice Cream is open Friday and Saturday from noon-10pm, and Sunday-Thursday from noon-9pm.